United Way Senior Staff – United Way of Central Alabama, Inc.
Drew Langloh is President and CEO and has dedicated his career to the mission of serving the underserved through the United Way movement. He returned to Birmingham in 2008 as President and CEO, with a vision to elevate UWCA to a top model for making lasting changes to complex problems. To solve today’s problems, he believes it will take non profit agencies, municipalities, corporations, foundations, academic and faith communities working together with a common focus. Kelly Carlton is the Executive Vice President and Chief Operating Officer for United Way of Central Alabama and has over 30 years of extensive experience in financial accounting and administration which includes 23 years of nonprofit experience. She oversees the organizational processes and infrastructure of United Way. She holds a Bachelor of Science in Accounting from Samford University located in Birmingham, Alabama. For 10 years prior to joining United Way, Kelly worked in public accounting with national and regional firms as a Certified Public Accountant. Kelly’s professional affiliations include American Institute of Certified Public Accountants, Alabama Women’s Association of Certified Public Accountants as a Board Member, Birmingham Chapter of Alabama Institute of Certified Public Accountants as Treasurer, National Accountants Association, and Alabama Society of Certified Public Accountants. In addition she serves as Vice President of 3 United Way of Central Alabama subsidiaries (Community Partnership of Alabama, Hands on Birmingham, and Priority Veteran). Kelly was recognized in 2010 by the Birmingham Business Journal in the Chief Financial Officer Awards. Chip Graham is the Sr. Vice President of Marketing and Communications at United Way of Central Alabama. He is responsible for all marketing and communications including planning, strategy and tactical implementation. Chip holds a Bachelor of Science degree from Birmingham Southern College. Prior to assuming his current role at United Way, he worked for eighteen years at EBSCO Industries, Inc. in various roles ranging from traditional marketing to digital marketing and e-commerce. Chip is also a head soccer coach at the Birmingham United Soccer Association (BUSA), where he enjoys investing some of his time towards the development of youth boys’ soccer within Birmingham, Alabama. Karla Lawrence serves as the Senior Vice President of Community Initiatives for United Way of Central Alabama. She leads United Way’s initiatives and direct programs providing services statewide in the areas of Health, Education, Financial Stability and Access to Services/Crisis Response. She earned her Master of Science in Counseling and Psychology and Bachelor of Science from Troy University in Troy, Alabama. She was elected to Chi Sigma Iota’s Counseling Academic and Professional Honor Society. She is a Licensed Professional Counselor and has spent the majority of her career working for non-profit, social service agencies focusing on child and family advocacy. She has over 15 years of non-profit management experience. During her career, she assisted United Way with long-term recovery efforts in Central Alabama providing case management to tornado victims. In addition, she was employed at two United Way partner agencies prior to starting her employment with United Way in 2015. She currently serves on the Board of Directors for two of United Way of Central Alabama’s subsidiaries (Community Partnership of Alabama and Priority Veteran). Prior to assuming her current role, she worked as the Vice President of Community Initiatives at United Way. She has been married for 15 years to JD Lawrence, an attorney at Farris, Riley & Pitt, LLP in Birmingham, AL and is mother to Emma Kate, age 9 and John Karter, age 2. As Senior Vice President of Resource Development at United Way of Central Alabama, John oversees fundraising efforts to support the work of United Way and 80 partner agencies in Central Alabama. John and his team fully embrace the power of volunteer, peer-to-peer fundraising, mobilizing hundreds of cabinet members, hands-on volunteers and loaned executives to reach their annual goals. 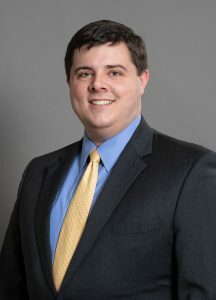 An Atlanta native, John moved to Birmingham after graduation from Auburn University with a bachelor’s degree in Spanish. He divided his time between the U.S. and Mexico, working for Constructores Para Cristo as Director of Construction and later Assistant Executive Director. John then joined United Way in 2012, first serving as Vice President of Annual Campaign through 2018 before transitioning to his current role. John maintains his passion for helping others by providing meaningful experiences to donors and volunteers in his community. John serves on the board of the Birmingham Sunrise Rotary Club. He is also a co-founder and past president of the Young Nonprofit Professionals Network of Birmingham. Outside of work, John enjoys spending time in his garden. He and his wife, Allyson love living in Birmingham and are proud to call it home. Samuetta Nesbitt is Senior VP Public Relations and Community Affairs for United Way of Central Alabama and has over 16 years nonprofit experience. She is in charge of United Way’s corporate brand and communications. She holds a B.A. from The University of Alabama in Communications and an M.S. from The University of Alabama at Birmingham in Education Leadership. Samuetta worked as a broadcast journalist in the mid ’70’s and in Public Relations for Compass Bank and Birmingham Public Schools. Samuetta is the recipient of several honors and awards including The Cahaba Girl Scout Councils Woman of Distinction Award and The Birmingham Business Journal’s Top Business Women of 2003. Her professional memberships include The Women’s Network, The Kiwanis Club of Birmingham; The Public Relations Society of Alabama; Leadership Birmingham (1992) and Leadership Shelby County (2014). Sara Newell is the Sr. Vice President of Community Impact at United Way of Central Alabama. In that capacity, she is responsible for annual fund allocations and evaluation of programmatic results for more than 80 United Way partner organizations across Blount, Jefferson, Shelby, St. Clair and Walker Counties. In 2014, Newell assumed responsibility for community convening, planning and grant-making in each of United Way’s four impact areas of Health, Education, Financial Stability and Access to Services/Crisis Response. Newell holds a Masters of Public Administration from UAB and a Bachelor of Arts from Samford University. Prior to assuming her current role at United Way, she worked for five years as a fundraiser for United Cerebral Palsy in Los Angeles and New York City, where she was responsible for several major campaigns including a grants program that raised approximately seven-hundred-thousand dollars, annually. She returned to Birmingham to join United Way in December, 2006 to oversee allocations out of the United Way campaign, which has a goal of $37,900,000 for 2013. She is currently on the Board of Directors for the Alabama Association of Nonprofits and the Governing Board of Hands On Birmingham. She has been married for eleven years to Van Newell, an Instructor of English and Creative Writing at the University of Alabama and is mother to Gideon, age 3. In her spare time, she loves to garden and play outside with her son.